The Dashboard is to SharePoint Portal Server what Mission Control is to NASA. From the user’s perspective the dashboard is like a superior home page in their internet explorer. Here is how the dashboard is constructed, ‘under the bonnet’ is the SharePoint website, on the surface is the Digital Dashboard front end. There are two other important components, the Dashboard Factory that renders the dashboard and the web components like Search. These web parts can be customised and created using reusable components like XML or other compatible scripts. Each function has its own configurable component. 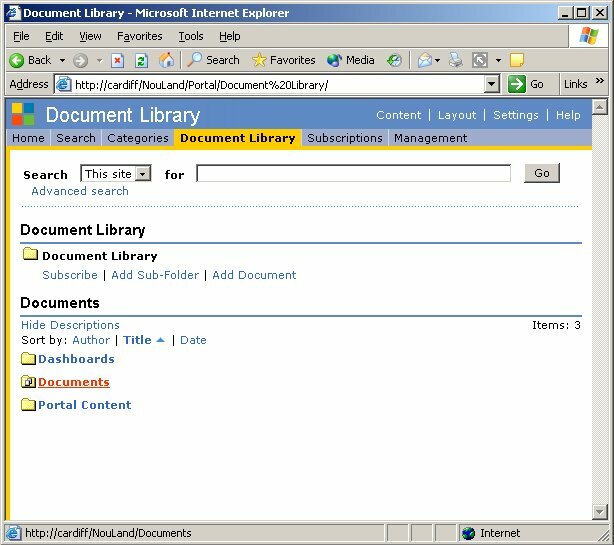 The document library is the heart of SharePoint’s data management. This is here where Author’s publish, and users Search and read their documents. 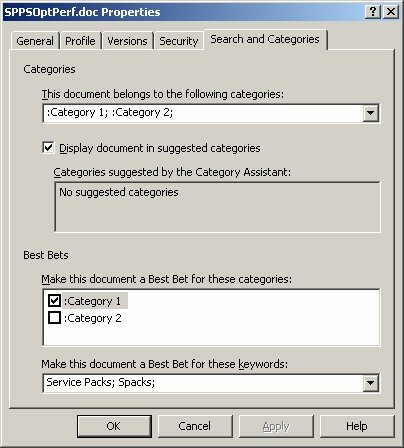 The trick is to select the Documents sub folder before you try to Add Document. Provided you are a Coordinator, you can add sub folders or rename existing document folders. The best way to read the actual document is to use Office XP. Word XP prompts you to Check Out the document. 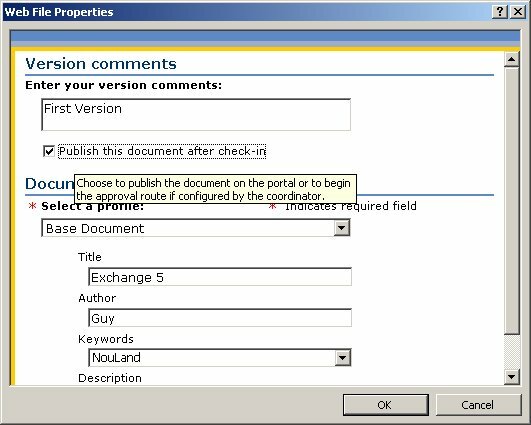 Do remember the Publish check box (see diagram) if your intention is to allow colleagues to see the document. For the user to make fruitful searches a coordinator or author need to enter the relevant data in the document’s keywords and category fields. ‘Best Bets’ is a useful feature, and once again its tricky to setup. 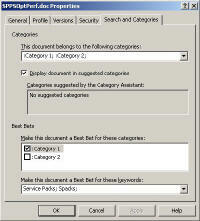 The coordinator must use the Web Folder View, Document Properties, Search and Categories to configure the settings. I must say that when Search is set up properly, the results are impressive. Home Copyright © 1999-2017 Computer Performance LTD All rights reserved. Please report a broken link, or an error.